For those who dare to stand out in the crowd, we bring you a refreshing new design! 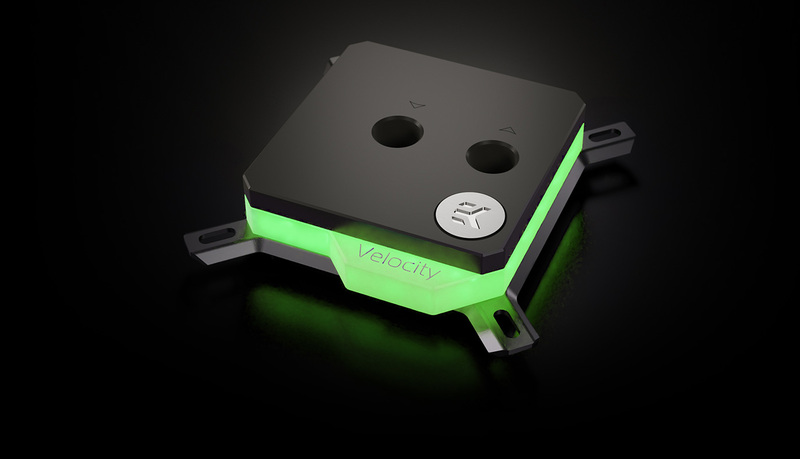 Currently available in the form of the EK-Velocity CPU water block and EK-Vector GPU water block! 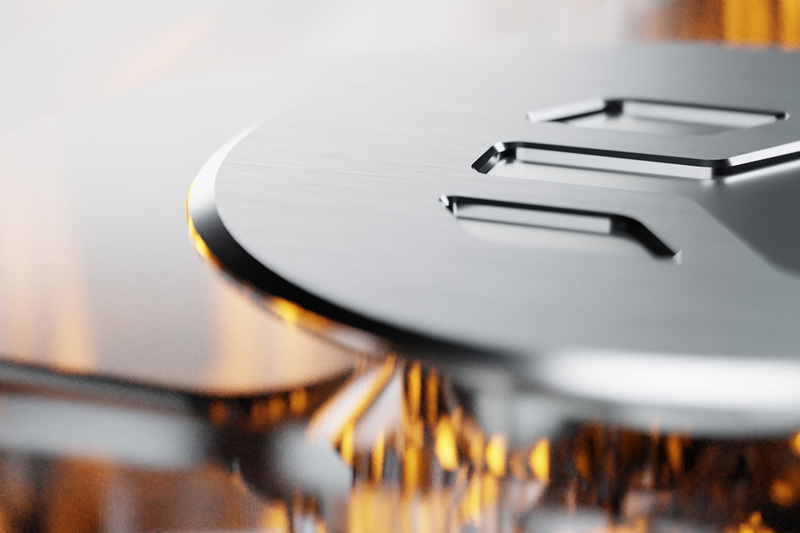 We will soon unveil a full range of custom loop liquid cooling products that will make your PC be the best on the block! EK-Velocity is the new high-performance flagship premium quality CPU water block featuring the 5th iteration of the award-winning EK® cooling engine for modern Intel and AMD processors. Modern design with wide-array of options specific to your wishes and needs. If you want a block that will amaze everyone who sees it, that will fit perfectly with EK-Vector GPU blocks and will provide top performance, look no further than EK-Velocity. It will fill all those checkboxes and more! 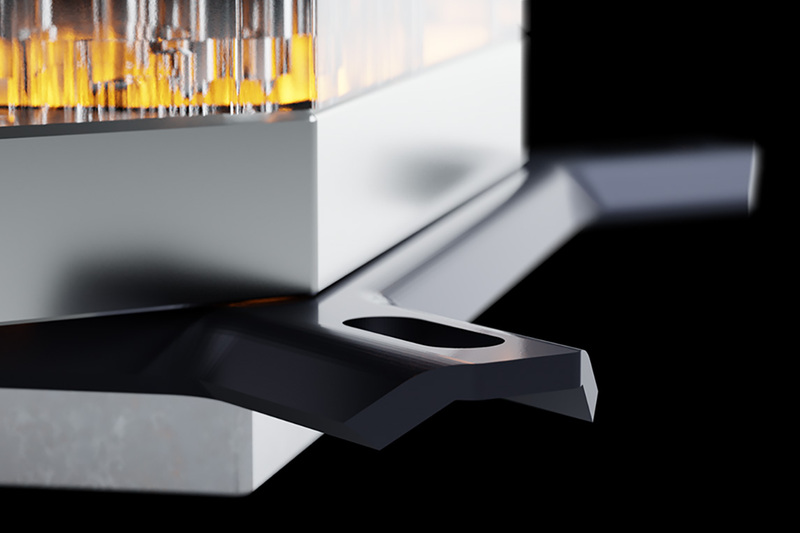 Join us in our quest to make liquid cooling an art! 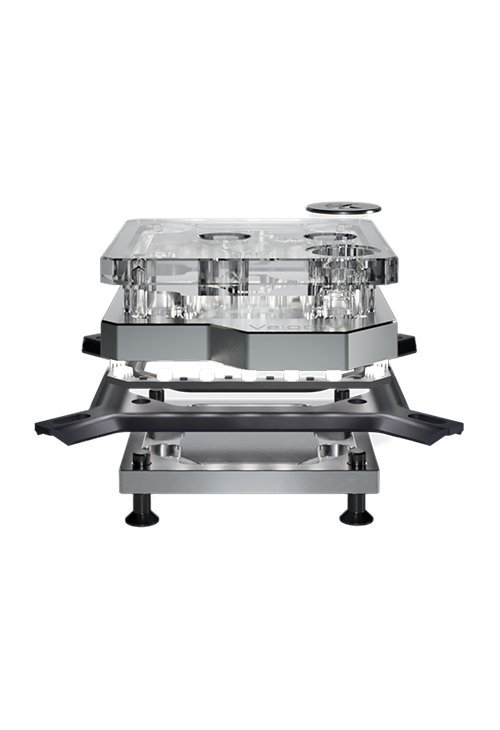 Aesthetic detail piece is available in multiple choices with the RGB LEDs underneath it. Reinforced mounting bracket allows optimal and even pressure on your CPU. 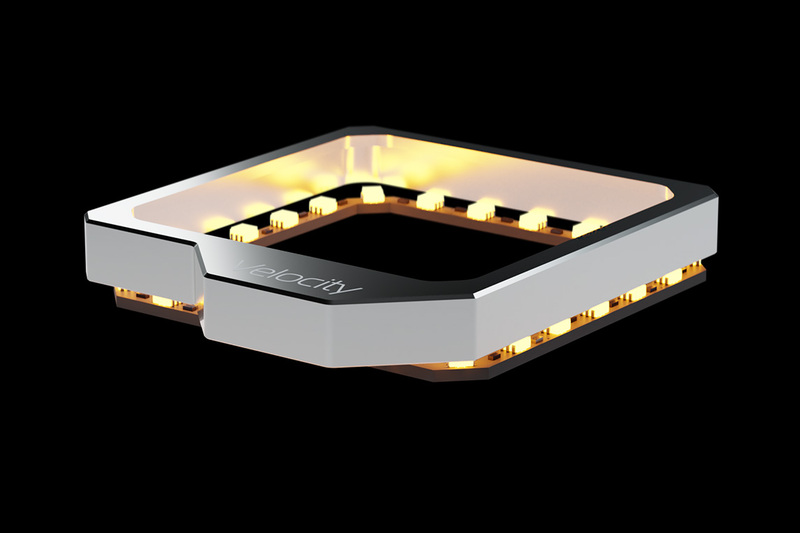 Stylish notch with Velocity wording that can light up in RGB versions. 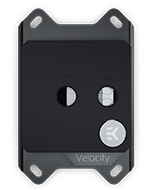 Chamfered edges follow the modern design and align with the new wave of EK products. 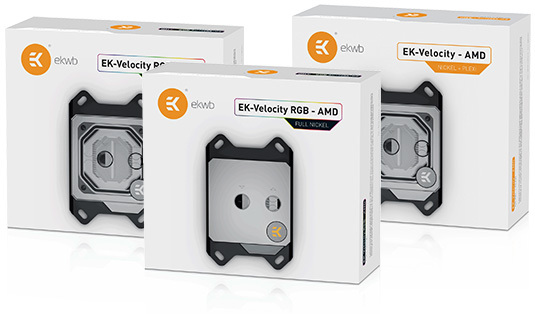 A modern iteration of EK logo with angular edges follows the overall aesthetic of the new product line. 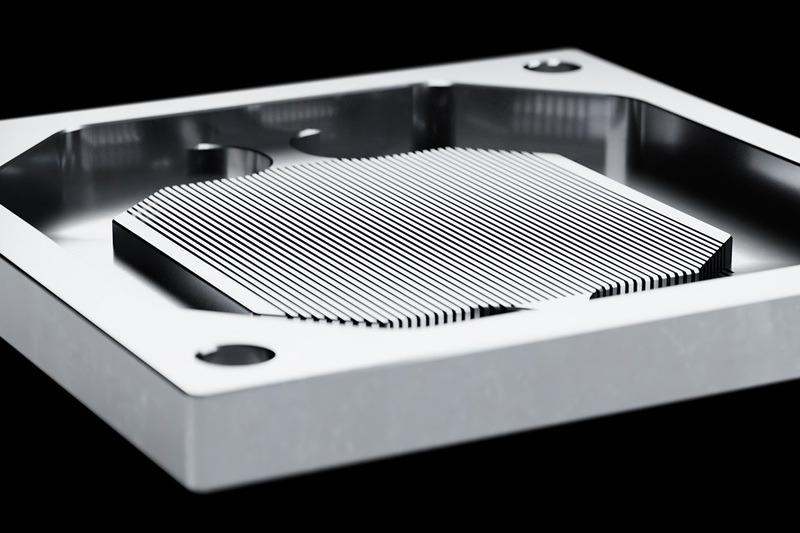 5th iteration of award wining cooling engine features increased microfin surface for even better cooling. EK-Velocity, a high-performance premium quality water cooling product for those who want to stand out! A design that will enable a vast number of variations and options for enthusiasts and demanding users. 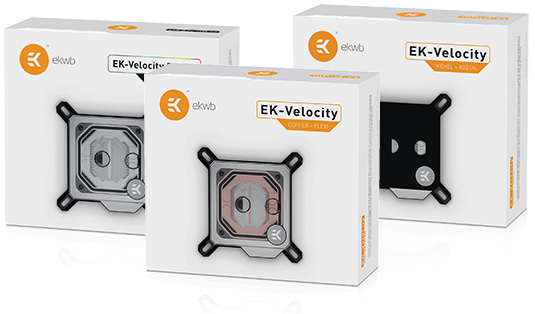 EK® constantly strives to bring the best possible liquid cooling experience to its customers all around the world and for those reasons, every part of the water block has been further refined to perfection! The new name “Velocity” was inspired by the necessity to be lean and agile in the world of liquid cooling. 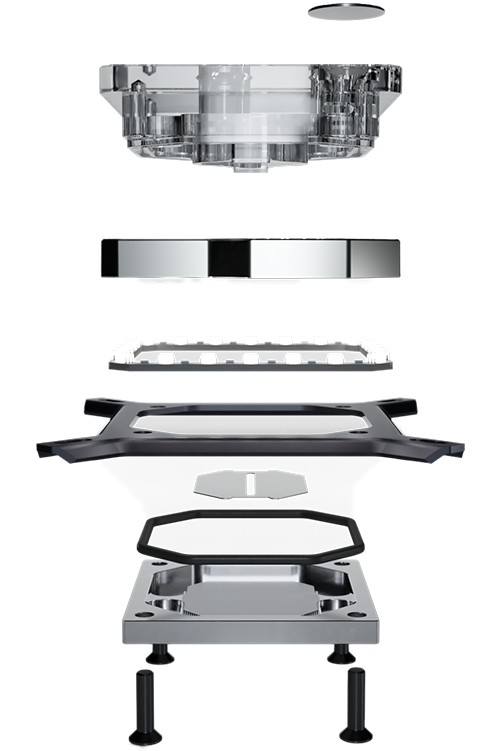 A high-performance CPU water block is no good if it’s too restrictive on the flow and bottlenecking your entire cooling loop. Efficient coolant flow and performance should go hand in hand, and neither of the two should be sacrificed for one another. This is a high-performance premium quality water cooling product for those who want to stand out! 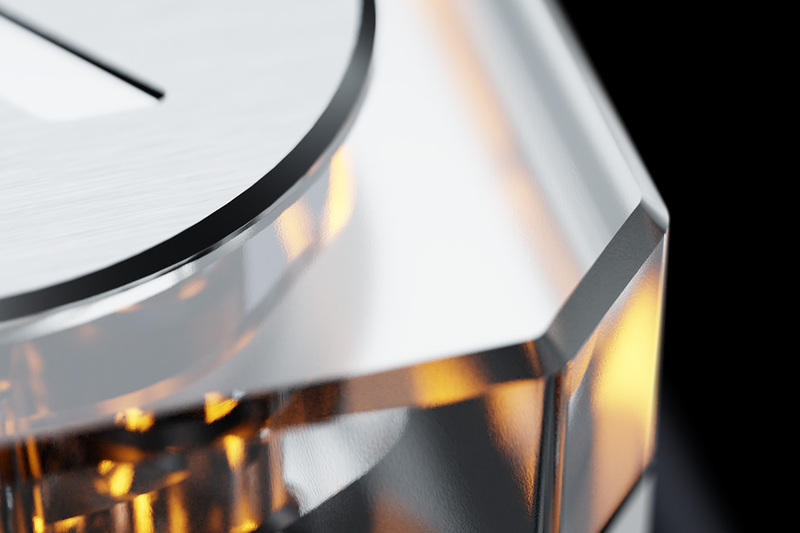 A design that will enable a vast number of variations and options for enthusiasts and demanding users. 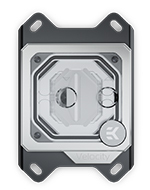 EK-Velocity is the new high-performance flagship premium quality CPU water block for modern Intel processors. EK-Velocity AMD is the new high-performance flagship premium quality CPU water block for modern AMD processors. Don’t want to choose? Click here for all the versions of the block! No matter if you prefer RGB or not, glass like Acrylic top to showcase your fluid or stealthy black Acetal. 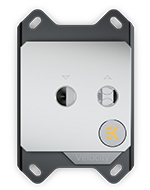 Even if you want a full nickel plated block that will serve you faithfully for a decade, Velocity will deliver. Nickel doesn’t fit your copper tubing or steampunk build? Why not go with EK Velocity’s bare copper variant? 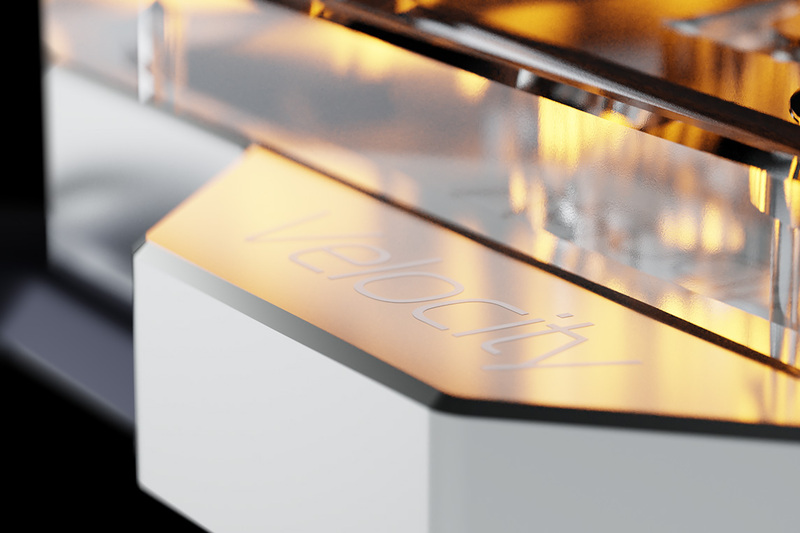 Velocity does not choose sides, it wins on both AMD and Intel fronts. 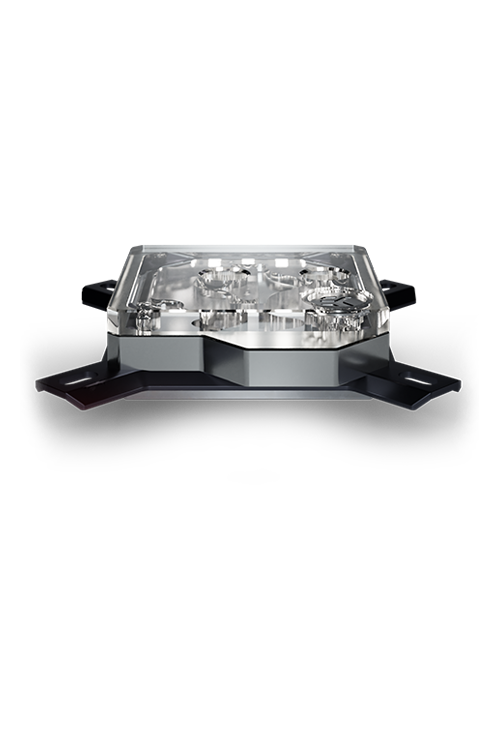 Newest generation of premium waterblocks is here, we’ve offered multiple choices for you, yours is to pick one and enjoy coolest temperatures and exquisite looks.